I recently tasted kumquats for the first time. It was a deliciously intense experience. I became interested in trying kumquats after watching some moms give their little kids some to snack on. The moms were happily munching away at the fruit while the kids made the best sour faces I’ve ever seen and immediately spat them out. Their little faces were all puckered up, brows furrowed, eyes squinted tightly shut, and cheeks turned inward. It was hilarious and I knew I had to give kumquats a try. After I bought some kumquats I had to do a little research to figure out how to eat them. Turns out it’s pretty simple, just pop the whole thing in your mouth. Kumquats are a citrus fruit about the size of a grape, so it’s not a big mouthful. But that tiny fruit packs a punch. The outer rind has a very delicate sweet flavor and the inside flesh is extremely tart. Together they balance out to a nice sweet-and-sour flavor. The taste took some getting used to but I really began to love the extreme flavor. Plus, they have an amazingly refreshing aftertaste. 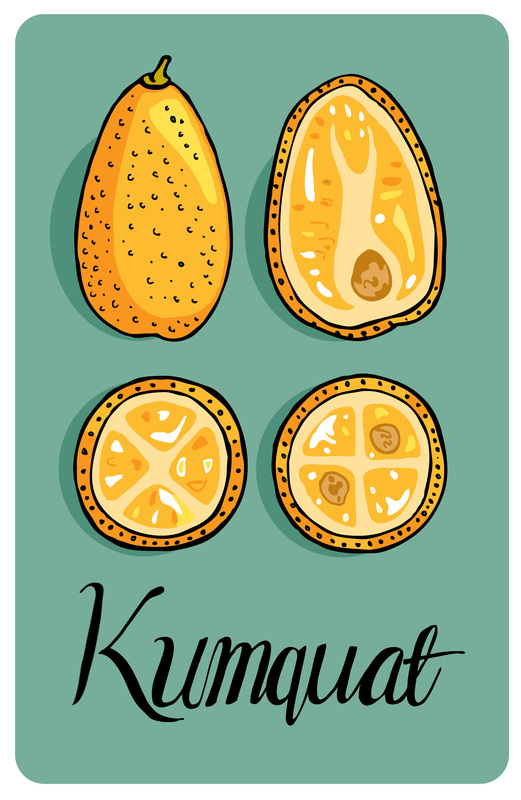 I love trying out new fruits; if you haven’t experienced kumquats, give them a try sometime!